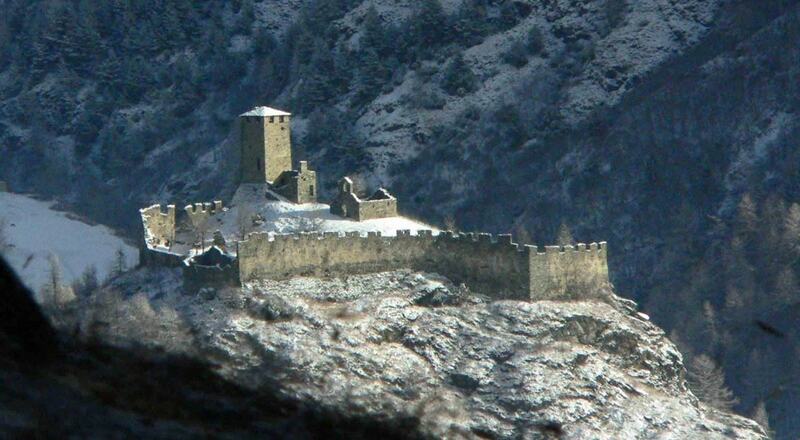 Graines Castle occupies the summit of a rocky spur which commands Brusson and most of the Val d'Ayas. In medieval times, it communicated through flag or mirror messages with the nearby Bonot Tower and the Villa Castle in Challand-Saint-Victor. According to a legend, a large treasure lies buried under the castle.